You are sitting in the hospital following a head-on collision. The accident wasn’t your fault; the other driver crossed the center line. Now you have medical bills piling up and your car is totaled. What’s next? Head-on collisions are among the most dangerous car wrecks because the force of impact is so intense. This type of collision occurs whenever two vehicles traveling in opposite directions collide. A head-on collision may also occur with a stationary object, such as a light pole or tree. The majority of head-on collisions are the result of driver error. Many of these accidents occur on two-lane roads, often without a clearly marked center line. Some head-on collisions occur when a driver accidentally enters a road or highway traveling the wrong direction. It is not unusual for one of the drivers to be charged with reckless driving. These charges often coincide with drunk driving, excessive speeding, distracted driving, and fatigue. A head-on collision may drastically change the life of a victim. 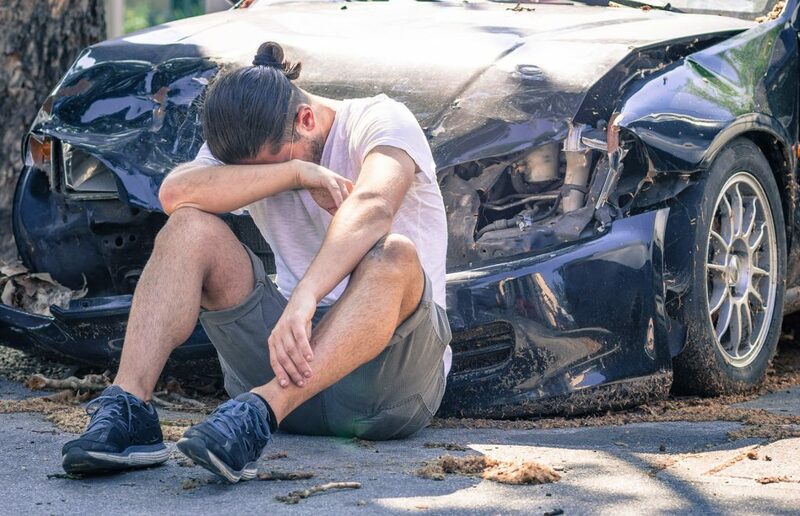 While many of these wrecks are deadly, if you are fortunate enough to survive the impact, you may be left with catastrophic injuries that greatly affect your quality of life. Beyond the pain and suffering, you may have financially devastating medical bills and the loss of income from being unable to work. Skin lacerations, bruising and other soft tissue damage. Closed or open traumatic brain injury. Whiplash and other neck and spine disorders. Internal organ damage or bleeding. These injuries may cause pain and complications for an extended period of time. You may find yourself disabled and unable to enjoy life. Some victims even report PTSD and depression following a severe accident. If you or a loved was seriously injured in a head-on collision, you have the right to seek monetary compensation for your injuries. If the accident was caused by another driver and that driver has sufficient insurance, the other driver’s insurance should cover your medical expenses. However, ensuring you receive full compensation for your injuries and losses requires the help of an experienced personal injury lawyer. Your attorney’s goal is not only to ensure that your medical bills are covered. He should also negotiate compensation for any future health expenses. These expenses may include, but are not limited to physical therapy, psychiatric care, and disability. You should also seek compensation for loss of wages, property damage, and pain and suffering, among other things. Victims who choose to represent themselves tend to receive smaller settlements. Hiring an attorney will not only speed up the claim process, but it will also help you get the highest monetary settlement for your claim. Further, if you are represented by an attorney, you will always have the option of taking your case to court if the insurance company fails to negotiate in good faith.